Today, even the average home theater receiver features a plethora of digital technologies, multi-channel surround sound, streaming functions, Wi-Fi capabilities and can outperform a vintage system like the one you had by several orders of magnitude. Obviously that dusty old set of components in the garage is junk, right? Well, maybe not! Perhaps you saw no reason to look up this relic online, but that Pioneer SX 980 receiver from a bygone era just happens to sell for anywhere from $500 to $900 dollars! Yes, collectors of vintage equipment are willing to dish out a hefty sum for equipment that might be considered ready for the recycling bin by some! And even if that ‘junk’ you come across isn’t worth a mint, many things that fall into disuse for us may still be worth something to someone else - the old snow blower that’s been replaced by a newer model, some old golf clubs from the days when you actually enjoyed golfing, an old ring that you haven’t worn in years and so on. There is still value in many things, even if they no longer appear useful or needed. Why Metro Pawn & Gun? So before you toss that old set of tools you may never use again, stop by Metro Pawn & Gun and let us have a look. If the items you have can be of value to anyone, we are always interested. And this equation works both ways. When you need an amplifier for your new car stereo or a laptop for your kid and want to save money as well, visit our shop to see what we have to offer. 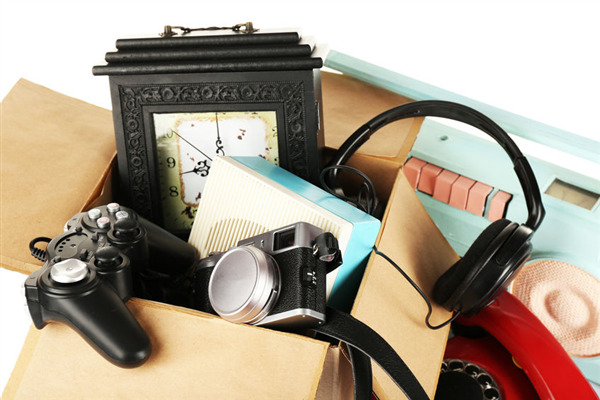 Turn your unneeded or unused items into cash. Metro Pawn & Gun can help you whether you need to sell, pawn or buy today! « Gold – Why do you need it?